Harting has launched an additional Han-Modular PE module for the pluggable connection of large PE (Protective Earth) cross sections of between 10 and 35mm2. 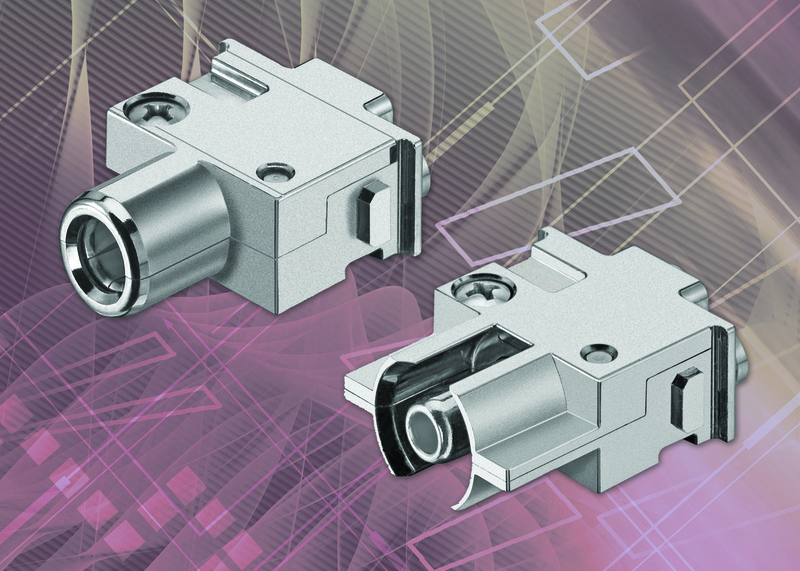 The hinged frame of the Han Modular series already features two integrated PE connections for the 0.5-10mm² cross-section range. The new connector means that cross-sections of between 10 and 35 mm² can now also be made using a pluggable PE module. This effectively means that special cables with reduced PE are no longer necessary, and inexpensive and globally available standard cables can be employed instead. The PE module is simply mounted in the hinged frame; due to its construction it creates a secure, electrically conductive connection from the PE contact to the hinged frame and the outer housing. The protective earth connection is pre-leading and complies with standard IEC 61984. The module is available in two different termination technologies, crimp and screw termination. The crimp version is ideal for applications in which the power contacts are currently crimped, and any crimping tools used with other Han-Modular® connectors can still be used since the crimping zone is identical across the range. The version with axial screw termination has the advantage that no special tool is required, as termination can be performed using a 4mm hexagonal torque screwdriver.